LOS ANGELES — Defying critics as well as competition from two new releases, the DC Comics-inspired Suicide Squad topped the US box office for a second weekend, industry tracker Exhibitor Relations said on Monday. 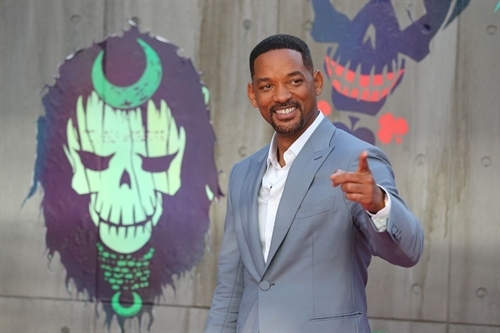 The action film, in which Will Smith, Jared Leto and Margot Robbie play a band of deadly criminals hired to carry out risky secret missions, chalked up US$43.5 million in sales on North American screens. That was down sharply from its opening take of $133.7 million, but still enough to edge out new releases Sausage Party and Pete’s Dragon. Sausage Party, an animated adult comedy from Sony, with Seth Rogen voicing the lead meat product, is what Variety called "a madcap crazy salad of industrial-strength raunch." It netted $34.3 million. Pete’s Dragon tells the tale of an orphan boy and the (computer-animated) dragon who befriends him. Disney’s remake of the original 1977 film, this time with Robert Redford as one of the townspeople who believes in the elusive dragon, took in $21.5 million. Jason Bourne, starring Matt Damon in the latest chapter of Universal’s enduring spy thriller, came in fourth, with $13.8 million.